Even though it has passed us by, I think it is still appropriate to wish everyone a happy Father's Day! We celebrated on Sunday by having my dad and my brother over. It was great to see all of the little ones run around and play together, and I think my dad enjoyed being able to just relax and not worry about anything but which grandchild he was going to play with next. 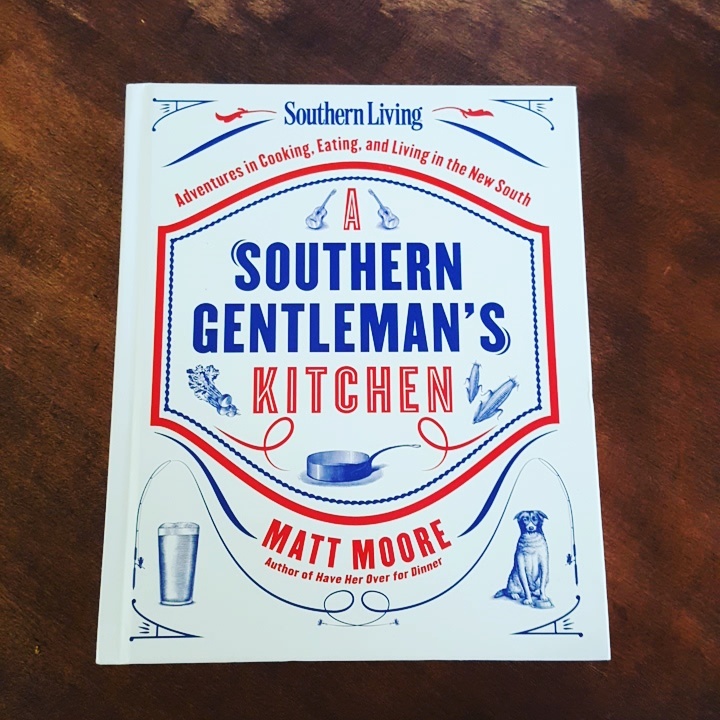 A few years back my wife got me A Southern Gentleman's Kitchen and I've been dying to try it ever since. 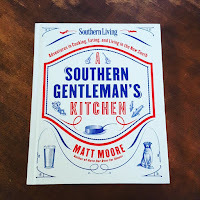 I'll leave the recipes out of this post so you can enjoy the book as much as I am. We of course had a Bloody Mary and Mimosa bar while everything was still getting ready and enjoyed some great conversation while we waited. 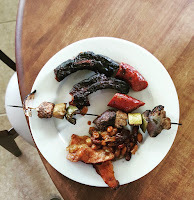 For the main event, I made some baked beans, baby back pork ribs, Mediterranean inspired chicken shish kabobs with squash and mushrooms, and jalapeno venison sausage. By special request, my wife made one of my favorite desserts, carrot cake. 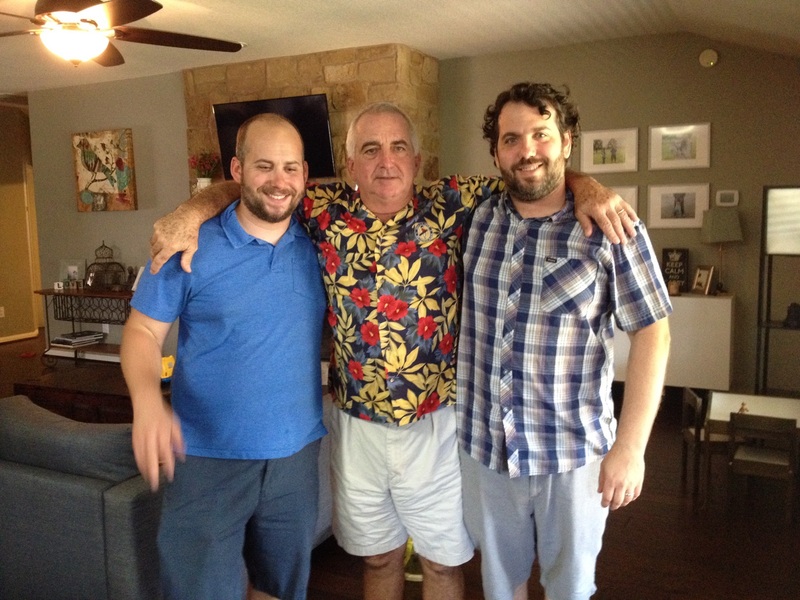 My brother, dad, and me. I was waving at my youngest son! 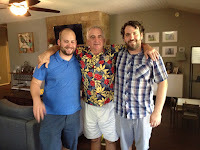 When it was finally time to say goodbye, my dad, my brother, and me gathered for a picture. I always enjoy having the three of us together and am looking forward to the next time we can enjoy each other's company.